The Galapagos Archipelago, also known as Darwin’s living laboratory, is home to an abundance of wildlife, both on land and underwater. Thanks to their isolation from the mainland for millions of years, animals here evolved into their own species to come with their unique environment. Galapagos has been one of the highlights of my round the world trip, and it is a place I would return every time I have the chance. These volcanic islands, while they are at the top of many bucket lists, they have the fame of being extremely expensive. Many people see them as a dream destination, far away from reality, but the truth is that these islands can be visited on a budget and many backpackers like me visit them too. Here I want to share with you everything I know about traveling Galapagos with a small budget. The best way to get to Galapagos is by flying from mainland Ecuador – from either Quito or Guayaquil, with the latter often being cheaper. Check LAN Airlines and TAME as they often have cheap flights, going for as low as $250 round-trip. Normal airfares range from $300 to $500 round-trip (I paid $324 with LAN from Guayaquil). I would recommend following LAN Airlines newsletter for deals, as they often offer discounted airfares throughout all South America. There are several flights a day arriving both to San Cristobal Island and Baltra Island. The airport in Baltra is the one that will connect you to Santa Cruz Island, which is the most developed island in all Galapagos. In Santa Cruz, you’ll find Puerto Ayora, which is the most populated town, and while it is big and most things happen there, it is still quite small in comparison to mainland cities. It is also the main port from where most cruises and day tours depart. 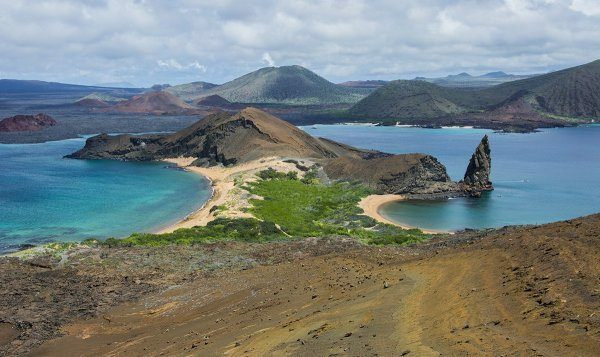 San Cristobal Island, on the other hand, is less developed than Santa Cruz, yet it is the capital of Galapagos and another departure point for cruises – located in the town of Puerto Baquerizo Moreno. 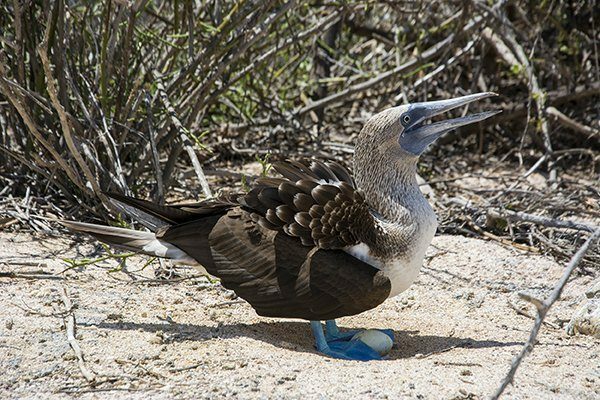 When flying to Galapagos, make sure to know from which island your cruise is departing – should you choose that option. A letter of invitation to enter as a guest of a permanent or temporary resident in the Galapagos Islands for no more than 60 days per year (a limit outlined in the Special Law for Galapagos). The letter must come from the resident – not from the visitor. Download a sample letter here (in Spanish). Note: A friend of mine went there recently, December 2017, and he wasn’t asked for his proof of hotel reservation. It seems like they MIGHT not be fully enforcing it now, but they might soon. Transit Control Card issued by the Galapagos Governing Council which can be acquired at the Governing Council counters in the airports in Quito or Guayaquil, Ecuador. Of the above, the only new requirement is the hotel reservation or letter of invitation. The proof of a return flight and the Transit Control Card were previously required. It all depends on what you’re interested in doing and how much you want to see. But, in my opinion, you shouldn’t be there for less than five full days (not including travel days). I would suggest more like seven or eight full days. Cruises range from 4-days, 5-days, 8-days, and more. But a thing you must know is that a 4-day cruise only has two full days in other islands because the 4-days includes the departure and arrival days too. So, I don’t recommend doing 4/5-days cruise. Target for an 8-days tour (or longer) to enjoy a bigger variety of islands and some less visited, more pristine ones. A giant tortoise in Santa Cruz Island. 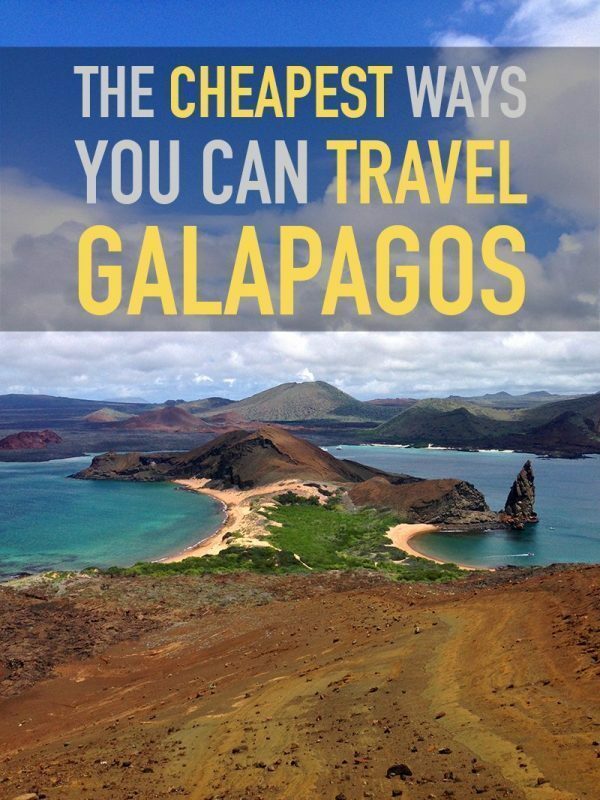 What Are The Cheapest Ways To Travel Galapagos? You can volunteer in Galapagos! If you’re looking to spend a decent time in the islands and help with conservation efforts, then this might be a good opportunity to be there without necessarily spending a lot of money. Some programs might include your room and board while others might not. You must check directly with each program to see what they offer and for how much. It will be expected of you to work a few hours a day, but then you’ll have some time off to explore around. Of course, this means that you will spend most of your time on one island and only visit the other islands when you have a day or two off. You can check the Galapagos Conservancy site and Go Overseas to search for current and recommended volunteering programs. While this can be the cheapest way possible, the price range can go from almost nothing (if you couchsurf or find a cheap program) to a couple thousand dollars. 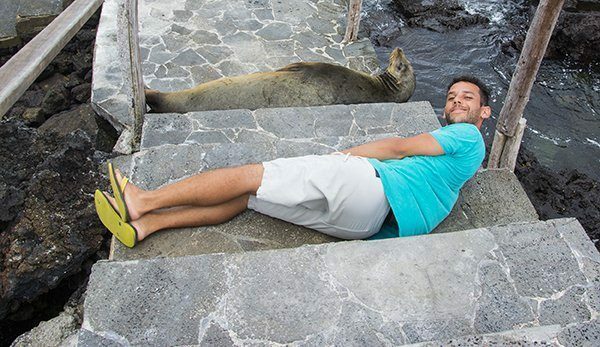 A full DIY trip is the cheapest way most tourists do Galapagos. I recommend you don’t book your accommodation in advance unless you feel like you must do it or are going to the peak of high season or holidays (like Christmas or Easter week). We arrived in Puerto Ayora with no accommodation booked and simply walked a few streets to scout for options. I recommend walking along Av. Charles Darwin, Thomas de Berlanga Street, and Isla Plaza Street, which were the ones where I saw most budget accommodation options. We found several that ranged from $20 a night per person with A/C to $10 a night per person with a fan. This is cheap for Galapagos, but if you book online, you’ll find nothing lower than $25 per person. Still, whether you book walk-in or online, I recommend at least checking and reading the reviews on TripAdvisor’s list of best value hotels in Puerto Ayora. I also recommend checking TripAdvisor best value hotels in San Cristobal, Isabela, and Floreana. While it is possible to find cheap accommodation, know that prices can go up to $500+ per room if you want to go fancy. When searching around (both in person and online), make sure the room includes a fan or a/c and hot water in the price, as some of them don’t include hot water for the most budget rooms. The same applies to San Cristobal, Isabela, and Floreana, which are the other three islands you can visit when you go full DIY. You can take speedboats between these islands, with Santa Cruz being the central connecting island. The cost is $30 each way and the journey takes from two to three hours depending on the island, and sea conditions. Usually, there are two scheduled speedboats to each island, with one in the morning around 7:00 am and one in the afternoon around 2:00 pm. Most sites say that you’re not allowed to take produce and fresh food into Galapagos. That’s not true for the most part. There are certain restrictions, on which kind of food you can bring, but, in general, you’re able to take most fruits, snacks, and other foods listed on this page. 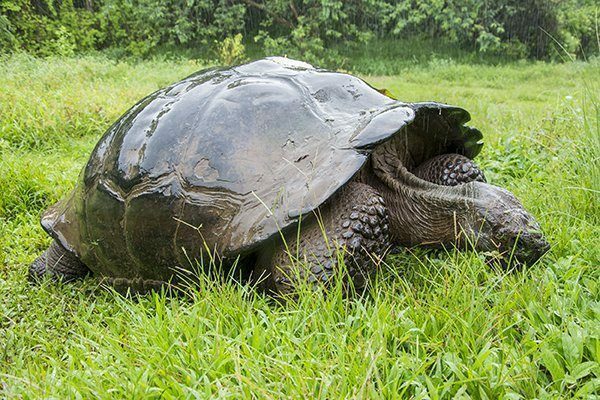 Pay attention to the green list, which includes the items allowed into Galapagos. The yellow list is restricted, which means you can take them, as long as they comply with certain regulations. The red list is simply forbidden. Chilling with my sea lion mate. He says he’s not food. Dining out can be a bit expensive, but you can still find decently cheap eats at street markets and local restaurants. In Santa Cruz, the street called Bordados El Alquimista is full of street-side restaurants with meals starting at $5. I ate there a few times, and it was not only cheap but also delicious and they served good portions. Other restaurants might range from $10-$25 a meal. There’s a supermarket by the port, and while it has moderate prices, it is not cheaper than bringing food from mainland Ecuador. Only buy there what you can’t bring yourself. Doing Free or Very Cheap Stuff! Contrary to popular belief, there are a lot of free and cheap stuff to do in Galapagos. Many of these can be reached walking, so your total cost will be $0 while others will require a taxi or ferry ride, but these are not too expensive. Some activities, though, will require you to either hire a guide or pay for a tour, since they are located in protected areas. But, in some cases, guides can be avoided if you ask for permission in the national parks office on the island. Charles Darwin Station: Located a short hike from Puerto Ayora, it has a turtle breeding area and interesting information about the conservation of the unique biosphere of Galapagos. Free. Tortuga Bay: You can enjoy a 2.5 kilometers long trail from Puerto Ayora to reach this beautiful beach. There are two beaches in Tortuga Bay. One is Playa Brava, which is beautiful to see but not good for swimming due to strong current; and the other is Playa Mansa, which is calm and perfect for snorkeling with small white tip sharks, as well as spotting a few marine turtles, pelicans, marine iguanas, and Blue Heron. It is open from 6:00 am to 6:30 pm. Free. German Beach: A very small mangrove beach good for snorkeling or just lying in the sand. 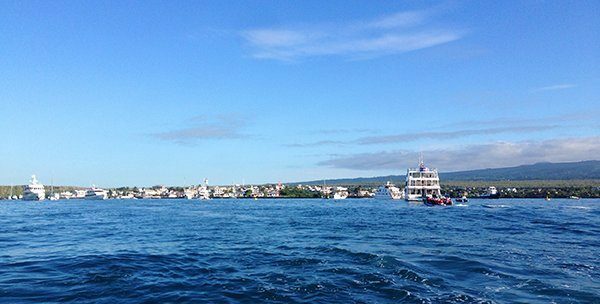 Take a water taxi ($0.80) from Puerto Ayora to cross the docks (just a 2 minutes ride). It will leave you at the trail entrance that leads to the beach and Las Grietas. 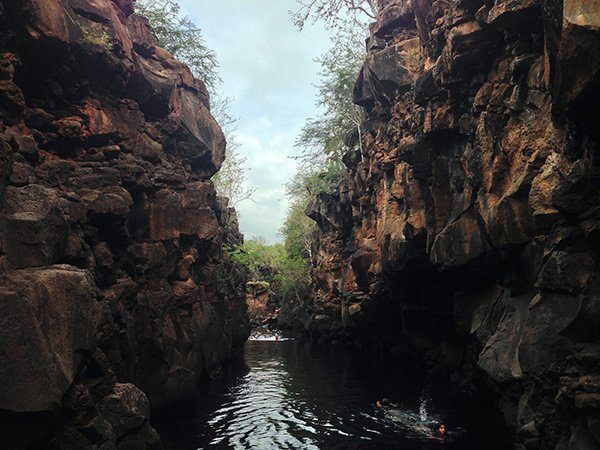 Las Grietas: A very cool natural swimming pool in a canyon. People used to jump from the top of the walls into the deep water, but it is no longer allowed. BUT, if you swim far from the guards you might “get away with it.” Or if you show up around 9:00 am, before the guards arrive, you might be able to jump from near the entrance (where people used to do it). Of course, do it with caution. Free. 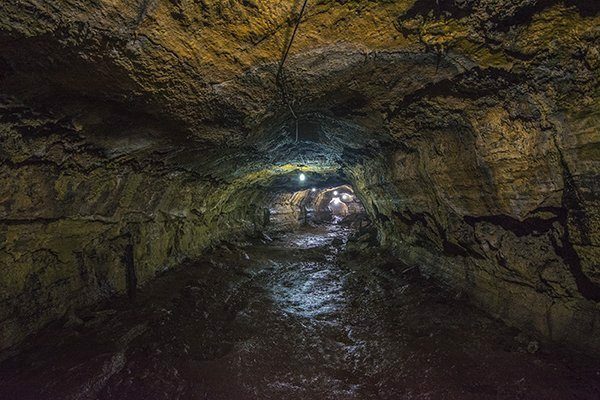 Lava Tunnels: There are several lava tunnels that you can visit. The longest (up to 3 kilometers) are located on private property off farms near Bellavista or Santa Rosa. It cost $5 to visit. There is a small one about 2.5 kilometers out of Puerto Ayora on the road to Baltra, which can be visited for free. Los Gemelos: These are two sunken volcanic craters located in a cloud forest. Should you not want to stop there, you can still see them briefly from the car/bus window on the way to/from the airport as they are close to the road. Free. El Chato Tortoise Reserve: This reserve area has a few gigantic tortoises in the wild, unlike the ones at the Charles Darwin Center, which are enclosed. 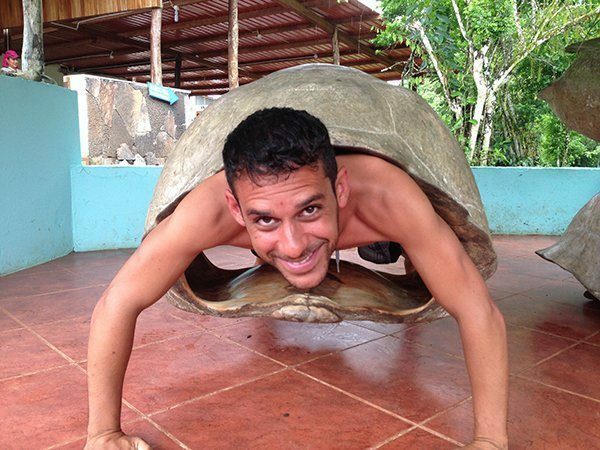 You can get up close to the giant tortoises and even try out wearing a tortoise shell! There’s a $3 entrance fee. 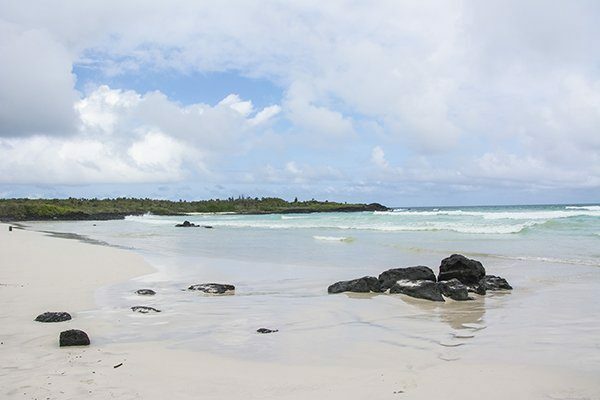 Garrapatero Beach: A 35-minute drive from Puerto Ayora, then a 20-minute trail leads to this beach consisting of black lava, white sand, and a turquoise sea. Very good for swimming and snorkeling. There you can see blue-footed boobies, pelicans, crabs, and marine iguanas; as well as Bahama ducks and pink flamingos in the small lagoon and mangroves behind the beach. Camping is possible with a pre-arranged permit from the National Park office in Puerto Ayora. From Puerto Ayora, you can hire a taxi for $30 to $45 to take you to El Chato, Los Gemelos, and the Lava Tunnels. Same applies to Garrapatero Beach, but there you must arrange price and return pickup time. Concha de Perla: This is a natural pool good for snorkeling with manta rays, sea turtles, and playing with sea lions. You can even see penguins! Las Tintoreras: Las Tintoreras is a lagoon where white tip sharks come to rest. They can be seen from the trail, but it’s not allowed to go snorkeling in the lagoon. The snorkeling at the beach behind is excellent, however, and eagle rays and sea turtles can be seen here. It has also been declared part of national park, so you need a guided tour to get there. Volcan Sierra Negra and Volcan Chico: Sierra Negra is one of five volcanoes on the island. It has the second largest crater in the world and, when the weather is clear, the views at the crater rim are impressive. Tours can be arranged in Puerto Villamil for $75+ or if you want to camp or go without a guide ask for permission at the park office in Puerto Villamil first. Los Tuneles: These are canals in the lava rocks with bridges and caves. 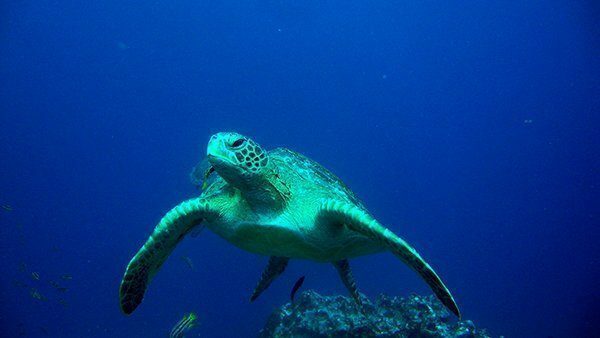 Several big turtles, rays, and fish can be seen swimming in the canals and pools filled with sea-water. Tours usually cost $70+ and include snorkeling at a similar nearby site where seahorses and sharks can be seen. 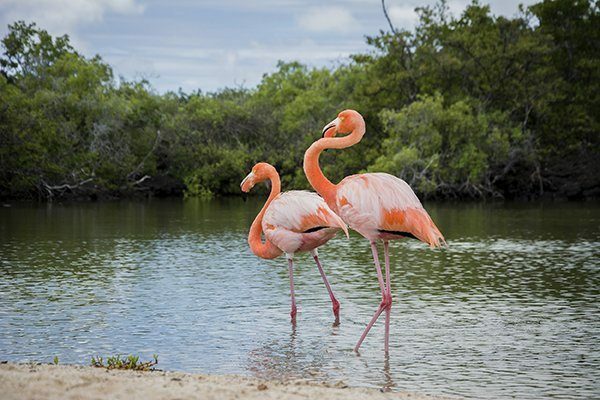 Laguna Salinas: A pristine spot where you can view wildlife, including flamingos. Wall of Tears: A historical site created by prisoners who were forced to build this wall from 1945-1959. Thousands died during its construction, and their ghosts supposedly haunt the site. National Park Tortoise Reserve: Here, you’ll be able to see a species of tortoise that isn’t found anywhere else in the world. Interpretation Center: An informational museum on the history and ecology of the Galapagos. Las Tijeretas: Located close to the Interpretation Center, it has an excellent lookout point at the top of the mountain and a cove below with great snorkeling spots to see turtles, sea lions, and various birds. Jacinto Gordillo Breeding Center of Giant Tortoises: A similar center to the Charles Darwin Center located in Santa Cruz. Playa Mann: One of the most popular beaches due to its central location and calm waters. There are many playful sea lions here. 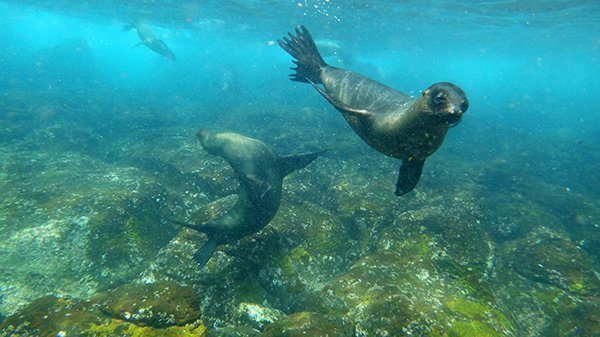 La Loberia: Located about a 30-minute walk from town, this beach has one of the largest colonies of sea lions in the Galapagos. El Junco: A freshwater lake inside an active volcano. You can hike around the rim of the volcano and explore some of the forest trails. A guide is required to visit it. Puerto Chino: A white sand beach with calm, clear waters and a lot of wildlife surrounded by unique rock formations. From the top of the big, black volcanic rock formation you’ll get aerial views of the clear water and marine life. There are barely 125 inhabitants in Floreana, so the highlight there is to feel surrounded by nature. As in the other islands, there are great hikes, excellent wildlife spotting, and unique flora. But, also, Floreana counts with a rich history. Post Office Bay is a great example. The post office barrel you see there today has been in use since 1793; originally by whalers, now by tourists. Tourists leave a handful of postcards and in turn, they collect postcards left by others to be delivered in person (not mailed!). Travelers often pick postcards from people living in their city or cities they will visit during their trip. TripAdvisor has a more extensive list of things you can do on all islands; both free and paid. A full DIY can cost you from $35 to $70 per day on average depending on how many activities you do, but as you saw, there are many budget-friendly options on each island. Trying a new “turtle suit” while visiting El Chato in Santa Cruz. This is the way I did it since I wanted to visit some islands I couldn’t do on my own. While this type of trip allows you to go to more islands, you still cannot visit the islands further from Santa Cruz, due to the lack of time to tour them in a day. Don’t book day tours online; wait to get to Galapagos and book them there. Bargain with them, especially if you’re doing more than one tour. Day tours prices range from $80 (if you bargain) to $180. The only time I’d advise to maybe book online is if you’re going during high season (mid-June to early-September and mid-December to mid-January) since the number of tours running is limited to affect the ecosystem the least possible (more on that below). In that case, I’d recommend checking Viator, which has a few day and multi-day tours available, but yes, they are slightly more expensive than if you bargain in person. Why would you pay for a day tour? As beautiful as Santa Cruz, San Cristobal, Floreana, and Isabela are, there are other islands that are even more beautiful or that provide other snorkeling/diving and wildlife spotting opportunities. The unique marine iguana of the Galapagos. I enjoyed my day tour to Bartolome, which has the iconic view that represents the volcanic nature of Galapagos. It is not great for wildlife, but it is quite nice for snorkeling and diving. I also visited North Seymour to see the Blue Footed Boobies, Frigate Birds, and other animals found there. This tour, though, I wouldn’t recommend unless you want to see big colonies of such animals. I believe the price ($150+) is not worth it (unless you’re a naturalist). A Blue Footed Booby with its little egg! Other Islands you can visit with day tours are Isabela, Floreana, Santa Fe, Pinzon, and San Cristobal. In my opinion, it is not worth doing day tours to the islands you can visit on your own since they are best experienced by staying there at least a day or two. Something you must take into account when planning your trip is that companies have a restricted schedule. The National Park allows only a limited number of visitors per island, so each tour company can visit X or Y island a few days a week. So, if one company is not going to Bartolome today, another one will. Additionally, tours are strict on what you’re allowed to do according to the permits they got from the National Park. If it is a land tour (land permit), you’re not allowed to touch the water, and vice versa with a water permit. For example, during my diving tours, we were not allowed to stand even on the rocks by the shore of one of the islands. And on my North Seymour tour, we were not allowed to swim in the water since we were walking on the island to spot the birds. A snorkeling tour by the beach, of course, allows you to walk on the beach and surrounding areas. Based on personal experience, if you want to go to Bartolome, book it first thing after you arrive, as this tour is very popular and fills up quickly (sometimes days in advance). The “it” view of Galapagos as seen from the top of Bartolome Island. A DIY with Day Tours kind of trip will cost you around $100 to $170 per day on average, depending on how many tours you do. I averaged $122.42 per day, including two dive tours and two land tours. Diving was the highlight of my trip to Galapagos. I did two dives in Gordon Rocks and two dives in Floreana. It is said that Gordon Rocks is one of the best, if not the best, dive you can do as a day trip. There are better dives in Galapagos, of course, but these can only be reached with liveaboard cruises (which are awfully expensive). On Gordon Rocks, you can see loads of marine life including marine turtles, manta rays, whitetip sharks, hammerhead sharks, and more. Close to it, you can also snorkel with sea lions (my favorite part of this particular dive trip). In Floreana, I saw similar wildlife, except for the hammerhead sharks, and had a marvelous time diving with several playful sea lions. 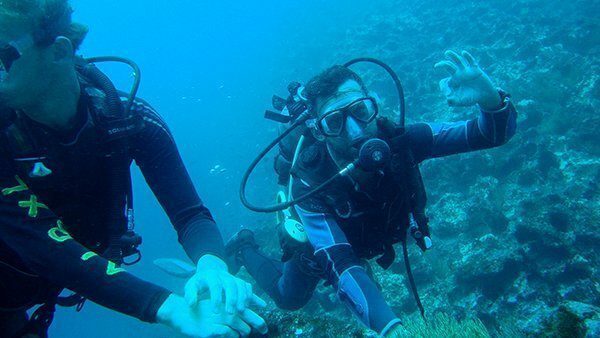 Dive trips go for an average of $150 for two dives, and in the case of Gordon’s Rock, you must be an experienced diver (20+ dives) due to the strong currents there. I did my dives with Albatros Tours, and I highly recommend them. Another company that I was recommended was Scuba Iguana. A Hammerhead Shark seen in Gordon Rocks. Cruises fall on the higher end of the cost scale, but should you do your proper research and outreach, you might find affordable last minute cruises worth doing. Cruises are also the best way to reach those further islands day-trippers can’t visit and to see some of the most beautiful and untouched sceneries in Galapagos. I originally intended to see Galapagos by cruise, but after contacting a few agencies, the itineraries I got did not fully fit my interest in places I wanted to see. Still, I got some pretty good quotes from them. Also, cruises don’t include diving in their activities though they do a lot of snorkeling. The friendliest sea lions you can ever encounter. Through emails and calls, I managed to find 4-day cruises from $730, 5-day from $780, and 8-day from $1,300. These prices didn’t include the airfare nor the park’s entrance fee. It is said that you can find the best last minute deals between a month and three weeks before your departure date, so have that in mind when searching for deals. If you’re flexible on time, it is recommended just to arrive in Puerto Ayora and search there for a cruise, as it will be much cheaper. I did my “test search” and I didn’t find them much cheaper than from what I found through emails and phone calls. Imagine Ecuador – Of all the companies I contacted, they gave the best last minute deals. There’s also Galapagos Cruise Links, which is a site where you can contact the cruise owners directly, not an intermediary tour company. You can bargain with them for lower than what you see on the site. This site is a hit-n-miss depending on how willing the cruise owner is on discussing prices. Also, Viator has a few last minute cruises listed on their site. They may not be the cheapest, but they aren’t that expensive either. Have in mind that not all cruises are the same, and service varies depending on the category – from budget to luxury. There are also other criteria you must have in mind when choosing a cruise, so to better understand them, check out the “Get Around” section of this Wikitravel page. Lastly, should you not want to fuss too much with planning and figuring things out with transport and cruises, then I highly recommend checking the excellent cruise tours offered by G Adventures and Intrepid Travel. Both companies have an excellent reputation all around the world. There’s a park entrance fee of $100 charged right at the airport in Galapagos. There’s an additional $20 “transit control” fee charged before checking in your flight in Guayaquil or Quito. Smoking is technically not allowed in the islands (since they are all a national park) though some people do discretely. It’s not possible to buy a one-way ticket without proof of transportation from the islands. While this is true, I spoke with travelers who managed to fly into Galapagos with only a one-way ticket (but maybe they were lucky). Buy a round-trip, and should you want to extend your time there, it is easy (and free if the price is the same) to change the date of your return ticket or to switch your departure to another island. This is true only if you bought your tickets directly at LAN.com or Tame.com.ec (and not through an aggregator site like expedia.com and such). Phew, this was a long post, but I shared here all my knowledge about Galapagos. And hey, it’s a once in a lifetime experience, so I want you to enjoy it just as much as I did! This is great! I’ve been wanting to visit for so long and seeing that it can be done independently makes me even more excited! Thanks, Kristin! Yes, it can certainly be done independently. Worth every penny! Amazing post. I have been planing to visit galapagos from long days. It is one of the best islands i have ever heard. Your post made me more intresting to visit the place in a very cheap way. Infact the underwater diving found pretty much intresting. The santha cruz island and isbela island are most stricking places. And found it marvelous trip advice for me. i make sure next time to visit the galapose in cheap budget plan. This is so helpful, especially for younger people who want to travel on an entry-level salary! Great post. Thanks for provide this blog! When I decided to volunteer in Ecuador I knew that the Galapagos islands were a must-see, but I didn’t want to spend a large part of my budget on an expensive cruise. So I decided to try out the cheaper, less practiced option: fly to the archipelago, stay on the main island of Santa Cruz and do day trips to the surrounding islands. While this can start off as a good idea, it’s very easy for the money to start vanishing. We met people who were spending two weeks on Santa Cruz and taking day trips almost every day: when you add up the $70+ day trip price, plus nightly dinners and accommodation, it starts to look like an all-inclusive cruise would be more economical! My friend Sherri and I were certain we could get the majority of the Galapagos experience without the huge price tag – but obviously that comes at a price of its own. We didn’t eat a huge amount and when we did it wasn’t fancy meals; we walked most of the time and we hungrily searched out every free activity we could. But it worked! Sounds pretty much like my experience! Once there I discovered that there are a lot of free things to do, so why not take advantage of them! I’ve been wanting to go to the Galapagos for so long, but it’s so expensive! I’m thrilled I found your post to give me some insider tips to save some money. 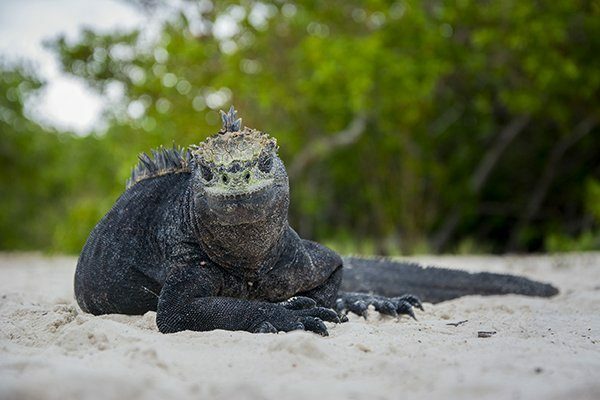 Superb Posts- Galapagos minute deals are best for the travellers – Galapagos tours & trip planning. We provide the affordable prices and last minute deals for your Galapagos travel packages await you! How much could cost a budget cruise? Great Post! Is it possible to travel cheap like this at the beginning of high season, mid june to mid july? Is it still possible to arrive on the islands without a reservation at this time of year? Also, my spanish is limited, do enough of the tour office speak english? I try my best and my kids are more fluent than i am, but i find it can be intimidating. When it is high season, you might have some luck, but be aware that there may not be a lot of availability like I had in May. When I searched around I found several options that could fit 5 people (my group), so if you’re traveling solo or just a couple, I guess you might have better luck. Still, I might recommend booking the first night or two if you still want to go with “no reservation” for most of the trip to save money. Regarding Spanish, yes, most of them speak English. Tourism moves the economy in Galapagos, so most people there speak at least basic English to form a conversation. We went to the tunnels along the main road from the airport to town, and all we did was pay for a taxi to get there. The driver (who said was a tour guide too, as everyone else there says) just told us to go through one entrance (where he dropped us), and exit through the other (where he picked us up). It was simple and there was no need of a guide. If you feel like you want/need a guide, you can do it right in town the day before or even the same day if you do it early. By the way, we got our taxi driver literally on the street around 1:00pm when we decided to go to the tunnels. If you’re going during high season, you might want to plan it a bit ahead (a day or two) since it gets very crowded there. Thanks for a great post. I have just a few quick questions! I can’t seem to find the list of restricted foods for the Galapagos – that link doesn’t seem to work anymore, and I was having trouble finding it even by google search. Any idea how to find it? My friend and I are going in 1 week, very excited! We are only going to have a few days there and from what I understand it is currently high season, so I’m expecting things to be busy. When you suggested planning a taxi (to the lava tubes) a day or two in advance – how does one go about that? Great page, very good information, thank you so much for doing this and sharing it. my husband and I are planning to go next year but we need to find the cheapest ways to be able to make, great tips. thanks a lot! Hi, great blog! Can you tell me the name of the company where you found an 8 night cruise for 1300 per person? Really enjoyed this blog well written and very informative. Everything you want from a travel blog. Good work. One question regarding your cruises and prices. For 8 day you said it was about $1400USD. Which cruise was this as I have been unable to get a quote anywhere near this. Sorry for the late reply. I guess it all depends on the season and how last minute are you willing to buy them. I called the companies while I was in Ecuador, so I was pretty much just a week or two away from starting the trip. By this time, they offer whatever they have at a lower rate to fill their cruises. Please be aware of less than professional behavior in travel specialists. We booked with GalapagosIslands.com on 7/27 and placed our initial 20% deposit and were told balance was due by 10/1. One week later they turned around and said our ENTIRE balance was due or we would forfeit our spot AND our deposit. Talk about driving a hard bargain! Buyer Beware! Hey I realy liked your post ! Its very interesting becauese you describe both ways, the cheap and the expensive option. 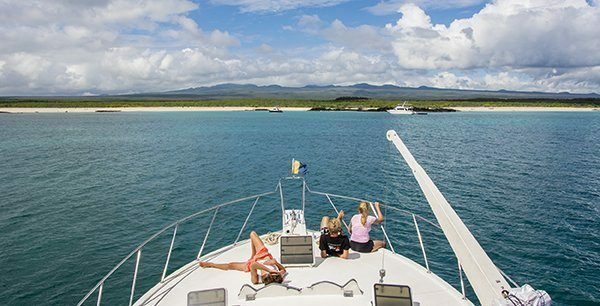 When I was in Galapagos I booked a tour with the Astrea Yacht and it was totaly worth the money. I realy enjoyed the time on the boat. how much costs your tour? thank you so much for this informative post!. We are planning on visiting the galapagos independently in late october . We are arriving into Baltra and have 5 full days/nights on the islands.. Our plan is to explore santacruz island itself at our pace. 1)Is it possible to do this trip independently and will we be able to visit sites on our own or do we need to book with a tour company to enter these sites. 2) should we do it as a day trip or an overnight would be better?If overnight can recommended places to say on isabela island. You can go to Isabela on your own by taking a boat transfer. If I remember correctly it departs twice or up to three times a day and takes around two hours each way. I think you should stay there overnight as there’s a lot to do and see in Isabela. Unfortunately I don’t have any place I can recommend, but if it’s not high season, I’m sure you can spot a decent place by just arriving there and walking around. That’s how I found mine in Santa Cruz. THANK YOU!!! This was such a thorough and helpful post. We are planning to DIY a week in Galapagos next year and I can use all the help I can get! 😉 Great photos, too. Love your blog , so detailed!! or should we just get there and go with the flaw and book there…? and if you can help – what will be cheaper? Thanks, Elad! Well, It’s usually cheaper if you just “walk-in,” as there are many hotels there that are not listed online. Having said that, take into consideration the season, if it’s high season, then I recommend booking in advanced. 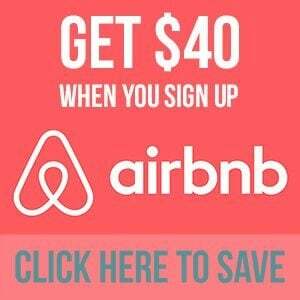 If you find something online for $25 to $40 per person per night, I’d say book it if you want to go sure you have a place to stay. Great post Norbert, I am traveling with my girlfriend and do plan on doing a lot of the activities mentioned on your post. I do have my flights prearranged. On the other hand, any suggestions on how to book a cruise to the western islands last minute with knowlegeable guides that speak English. Any suggestions on a particular line or website to read about. I do speak fluent Spanish so this may help. I will be there first week of Dec 2016. Sorry for the late reply. Honestly, I’d recommend to just contact the local companies I listed here on the post, either by email, or even better by calling them via Skype or Google Voice (which is much cheaper – that’s what I did). They will be able to give you any last minute quote available. Usually, they recommend to hunt for those last minute deals around three weeks before departure. Thank you so much for the great article. I wanna know how many days to stay for self-tour (stay without tour) for these EACH island are the best. Santa Cruz, Floreana, Isabela, San Cristobal, and Baltra? Well it depends on your pace, but I’d say at least 3 in Santa Cruz, 2 in Floreana, 3 in Isabela, 2 in San Cristobal, and Baltra only has the airport, so no days for that one. Of course, you could choose to stay longer or less days on each island depending on your interests. In my opinion, these amount of days will allow you to travel round those islands, and even do a few day tours (which you might still need to do if you like diving or would like to go to other islands), and even relax for a day or two. The total of days comes to 10, but I’d maybe push it to 12 or even two weeks depending on how much you want to do. But for sure, don’t go to Galapagos for less than a week. Thank you so much, Norbert. Do you know any cruise that can go to other places after I finish those 10 days in four islands without duplicating? And I don’t see speed boat from Santa Cruz to Floreana, do you know how to go to Floreana? Appreciate your further answer. About the cruise, to be honest, you’ll have to dig in with some research as their schedules change all the time and the islands vary. I’d recommend to start with the list of companies listed in the post. The transfer between islands is not a speedboat but a ferry. To Floreana is the same (a ferry), though I believe you can hop on diving tours to Floreana to catch a ride there for a fee. (Don’t quote me on that, though). Thank you for so much fantastic information. 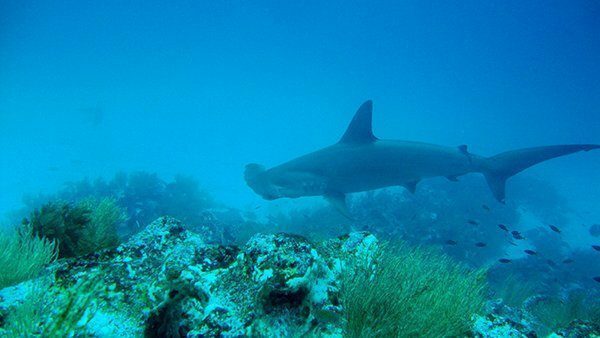 As I am not qualified to dive I was hoping to do some snorkelling trips, my dream is to snorkel with the hammerhead sharks. Do you know if it isn’t possible to snorkel at the sites you mentioned? Yes, you can snorkel some of them, and there’s one place by Gordon Rocks where you can snorkel with the sea lions. Having said that, I think it’s hard to see hammerhead sharks on a snorkel because they tend to stay pretty deep. My recommendation would be to go to the dive shop and ask them for the snorkel version of their dive tours. They do have them for most of them. Galapagos is magnificent especially when tortuga bay displays warm breezes and shimmering sand with infinite blue sky above it. Just lovable! Magnificent indeed! Glad you enjoyed your experience there! Do you the reason why I go through each and every single word and line of yours? Well because, I enjoy reading the time you take which is basically related to the research which you have done after actually chilling out in the places. Also at the same time, you do give us reasons for humor. Thanks, Afzal! Glad you enjoyed it! Greetings!!! Thank you for the great detailed information! We are arriving Nov 5- departing Nov 11, 2017 from Guayaquil. To see the most, what airport should we fly into? Baltra or san cristobal? Also, do you have information on beginners dive? We plan to be certified by the time we arrive but obviously won’t have 20+ dives. Thank you! I recommend flying to Baltra if you want to see the most as it is the biggest base in Galapagos. I don’t have information on beginners dive, but I know they offer “Discovery Dives” which are dives for people interested in diving but that don’t have a diving license. One of my friends did it when I was there with her. All you have to do is ask right at the dive shop to see if they can accommodate you and give you the “crash course” before going into the water. Most companies do. If you’re certified by then, you definitely don’t need 20+ dives to go diving, that’s for “advanced” diving spots like Gordon Rocks or other deep dives. But, there are tons of places where you can dive with a basic certification and just a handful of dives. I thoroughly enjoyed reading through your adventures and it has made me want to leave even sooner! I just have a couple quick questions if you wouldn’t mind. We are looking at flights to Baltra from Quito, but they are are quite expensive currently. Do you think we could buy our flights in Quito for cheaper? Or do you think they would be around the same price? Thank you so much for the help. I may be wrong, but I think they might be around the same price, especially if you wait last minute to buy them. If your trip is still way ahead in the future, try waiting until one or two months from the date to see how they are priced. If your timeframe is less than that, then I might recommend buying them soon. While I didn’t personally check for flights when I was in Guayaquil and Montañita (where I spent some time before heading to Galapagos), I don’t remember seeing any agency offering them for such low prices that would have made me question why I got them online instead of there. Two Seniors are going to Santa Cruz in February ,we have literally 3 days to explore this Island before joining a group tour from Guayaquil. Hi Slim – Three days is enough to get a good sense of Santa Cruz. I recommend staying in the town of Puerto Ayora. Regarding day trips, you will have to check there directly (or online) as that will depend on what they have available for the days you’re there. You can walk around Puerto Ayora and pay a taxi driver to give you a private tour to some of the most famous sights in the island (I have them listed here in the post). It’s not expensive and it’s easy to arrange. A good day trip to another island could be Isla Isabela and Bartolome Island, among other. It all depends on what you’re interested in seeing and what you’ll visit with your group tour after your days in Santa Cruz. I have a flight to Guayaquil on May 13 (in 2 weeks!!) my return flight is May 22. This is the only thing I have booked thus far. I am traveling alone, a little nervous because I have nothing organized. I know I will want to spend several days exploring Galapagos, I just don’t know where to begin. would love some comments / input from anyone who has done this trip and things I should see, where I should go, etc. You should probably start at Santa Cruz and Puerto Ayora, which is where most businesses are and where most of the free attractions are. From there, you can plan your day trips or last-minute cruise to go anywhere you want/can according to your budget and time. But, even if you decide to spend most of your time in other islands, I recommend flying to Baltra (Santa Cruz) and staying in Puerto Ayora one or two nights to get your bearings and play it by ear. Great Suggestion. I will be there on the 16th May until 23rd may 2018. No idea or plans yet. Kind of confused though. Again, sounds repetitive, any excellent suggestion to see Galapagos and at least i can tell my family and friends about my “bucket list” travel in Galapagos. I am on a tight budget though!! At least i can tell them i have seen most of it…giving justice of my travel expenses from Hong Kong to London to Quito to Isla Baltra. If you’re on a tight budget, I’d suggest concentrating mostly on Baltra, Santa Cruz, San Cristobal and Isabela Island (or pretty much the main islands you can travel by local ferries). They have free or cheap things to do that don’t require a tour. Only pay tours for things you really want to see and can’t do on your own. Instead of diving, do a snorkeling tour, as it’s cheaper. Also, barter as much as you can. Some tour companies there give last minute discounts, so test your luck there. Can you give me any information about chatering an entire budget yatch for 20 to 24 people (excluding crew) from one of the main Islands. for about a week. I would suggest going to the site I recommended here where you can email the captains directly. Each captain has their own requirements, so it’s best to speak to them directly. Great article! Very useful and totally my style. That is correct. It’s a new rule they have in place. Should you want to “play it by ear” once in Galapagos, as I did (pre this rule), you could book a fully refundable hotel reservation via Booking.com, print the “proof of reservation,” then cancel it to find a cheap place once in Galapagos. It might work, but technically you’re cheating the system, so do it at your own risk. Besides, it’s quite possible you might find equally cheap accommodation online, so maybe it’s not worth taking that risk. I can’t find anywhere else that says anything about needing proof of hotel reservation. Where did you find this? What exactly do you need? I am planning to take this trip by the end of the year and this has been incredibly helpful!! Thank you for taking the time to put this together! This is the most useful blog post for Galapagos I’ve ever read. I would definitely go diy! A quick question: is it cheap (around how much) and convenient (availability and frequency) to take ferry (or any transport) between each islands (including those small island)? Because if doing DIY-way, we would like to join as less tours as possible X)! All we need it is transport to take us to different islands. As far as I know, the public ferries/speedboats only go between the four inhabited islands and they come and go twice or thrice a day, depending on the island. Usually at least once in the morning and once in the afternoon. If you’d like to visit any other uninhabited island, it must be done with a tour. The current schedule and price can be found there when you get to Santa Cruz, as it varied depending on the season. Thank you for reply, its again very helpful 🙂 !!! do you recommend booking the tour when we arrive (last minute deal) to get the cheapest price? or would you say we can still get the tour cheaply when book in advance online? If you’re looking for day tours, you can book them last minute once you get to the islands. I’d recommend, though, to try to book all your tours on the first day once you’re there. Not all tours run every day, so you should make a list of what you’re interested in, and then organize them based on your (and their) schedule. Regarding price, I believe they are slightly cheaper once in Galapagos. If you’re booking more than two tours with the same provider, you can ask for a “bulk” discount. That worked for me when I booked 4 trips with the same company when I got there, but we were also 5 travelers, so we had some bargaining power there. Give it a try, anyway! Just so you have an idea, if prices are still the same, most day tours between $100 and $150 (including the diving tours). The ones that are slightly more expensive are around $160-170 and are for further islands that are still doable with a day trip. Just wondering if you found that there are multi-day tours available that take you to the further islands that you can book when you arrive in Santa Cruz? Or if those are ones that should be booked in advance/ online? We will certainly book day tours to the closer islands, but I would also like to see the further away islands as well! Yes, there are multi-day tours (which are the cruises or live-aboard trips, actually) that you can book directly in Santa Cruz. Just be patient and flexible in Santa Cruz as cruises/trips might not depart until a few days after. Unfortunately for the further islands, you need a cruise, as they are too far 1 or 2-day trips. But, if there is new development on these type of trips, I really don’t know. Thanks for such a detail information! Hey! Great post and beautiful pictures. This post helped us a lot when planning our own trip for November 2017. Awesome blog Norbert and much appreciated! My question is about sharks….would love to do some diving and have read there are tons of sharks but they are well fed and don’t bother humans but that is counterintuitive. Your thoughts? Thank you!! Not sure about the fact that sharks are well fed (at least not by humans). The Galapagos is a natural reserve and these sharks are wild animals, so they take care of themselves naturally (as far as I know). Having said that, most sharks don’t attack humans just because. I’ve dived several times with different kinds of non-dangerous sharks and they have never bothered me or any other diver I know. They simply mind their own business as long as we don’t bother them directly. You mentioned “high season” a few times. Can you tell me “when” high season is? Is it the mid-jun to Sep and December only? Correct, High season is basically the summer months in the northern hemisphere (June to August/September) and December/January. These coincide with the school vacation times in the US and most northern hemisphere countries. Having said that, the best months to visit are January to May (with April and May being the top months due to the migration of the Waved Albatross – if you’re interested in seeing them). Thanks Norbert for the wonderful post – you truly are a good Samaritan helping your fellow travelers. So I am planning a DIY trip from 12/25 – 12/31 to the Galapagos (Santa Cruz) myself with my wife and 2.5 year old daughter so did not want to make it too hectic with tours every day . However, I would like to do a 1 day trip to Bartolome island but can a 2.5 year old do that walk? Is it a very taxing long walk? Can i wait to book my Bartolome island trip until I get there since I am unable to find any availability for that week online? I also wanted to do the South Plaza island for its colorful flora but would they be colorful in December – is that island worth doing? Otherwise I was planning just taking the ferry to Isabela or San Cristobal (any suggestions based on which animals I would not get to see in Santa Cruz but would see in either of these islands)? Do you have a preference between these two islands? I was then planning to get a hotel once I arrived in Isabela or San Cristo but would it be easy enough to find a hotel once we get there at that time of the year? Finally, I am presuming I can get the tickets for the ferry once I get there and I understand it is $30 one way and takes about 2 hours – is that right? Thanks! Yes, a 2.5 years old can do that walk. It is not too long, but it’s uphill (mostly stepped). Just take your time going up. I booked my trip to Bartolome while in Santa Cruz, so you might have a similar luck, but if you’re already seeing it all booked for that week, then it could be quite risky. I haven’t been to South Plaza, so can’t say anything based on experience. In Isabela and San Cristobal you’ll get to see more seals. Personally I think Isabela offers more, but that’s just a personal opinion. Yes, the ferry you can book there. It’s pretty easy to do. There are also speedboats, should you want to save time. Regarding booking hotels in Isabela/San Cristobal once there, I’m sure there could be options to book last minute, but have in mind that you’re going during X-mas holidays, so it could be quite busy. In that case, I’d try booking online, or at least keep an eye on booking.com, which tells you how many rooms are available at any given hotel for those days. Booking.com also offers free cancelation on many hotels, so it’s another option should you want to play it safe. 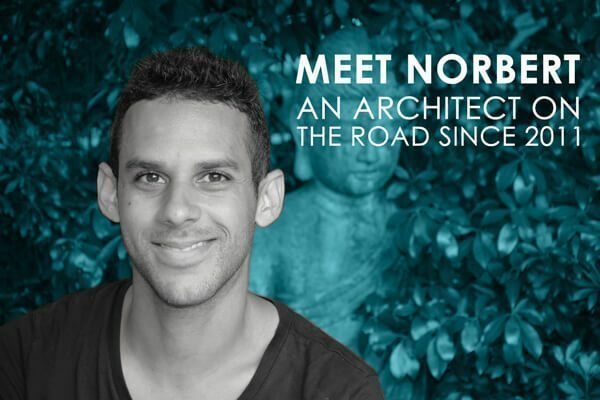 Hey Norbert, great post! This was really helpful! 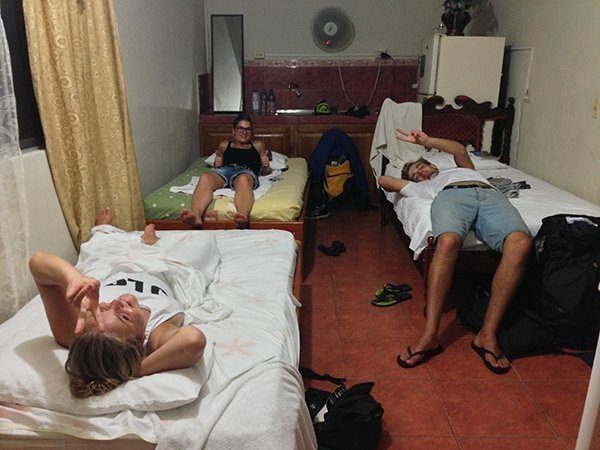 Do you know if one has to book accomodations for all days before arriving at the islands? As per my understanding of the new ruling, you have to provide reservations of accomodations for your whole stay before you are allowed to enter the Galapogos. Wouldn’t this make it difficult to spontaneously plan day trips, or stays at other islands? Thanks! And yes, your understanding is right. This is a common question and while I do think there’s a workaround, it a “grey area” workaround. There’s two ways of doing it, in my opinion. The first way is getting two hotel bookings with free cancelation. One should be for the first day or so, and the second for the rest. You’ll show both of them if asked for during entry. Booking.com allows you to get bookings that you can cancel up to a few days before the trip (or even up to the same day – double check the free cancellation dates!). So, you’ll have to use the first one since you’ll have to show it the date of arrival, but you can cancel the second one right after you get there and wing it. Alternatively, and again this is a grey area, but you could simply make a reservation via booking.com, print the booking confirmation, and cancel it immediately after. Then just book a place as a walk-in once you get there. I highly doubt they will check the validity of the booking confirmation printout before letting you in.